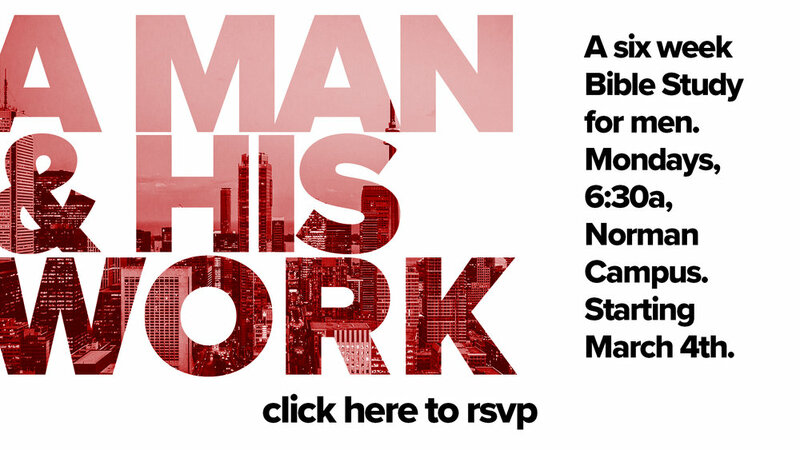 This 6-week Bible study looks at the obstacles and tensions that men can experience in their work-lives and then unfolds a process that helps men move beyond the conventional perspective of work that can lead to dead ends and frustration. It leads men to a bigger, biblical vision of work that goes back to God's original intentions. The book for this study costs $15. For info or to sign up, email nathan@summitonline.tv.